Personality: Sora grown to care dearly for water pokemon. He became fond of them because of his brothers love for them. Sora is very laid back and is caring. He is extremely kind to water pokemon and gets along with them well. When it comes to battling he becomes serious. History: It never seemed like his life was hard because his big brother Kuroi always watched out for him. 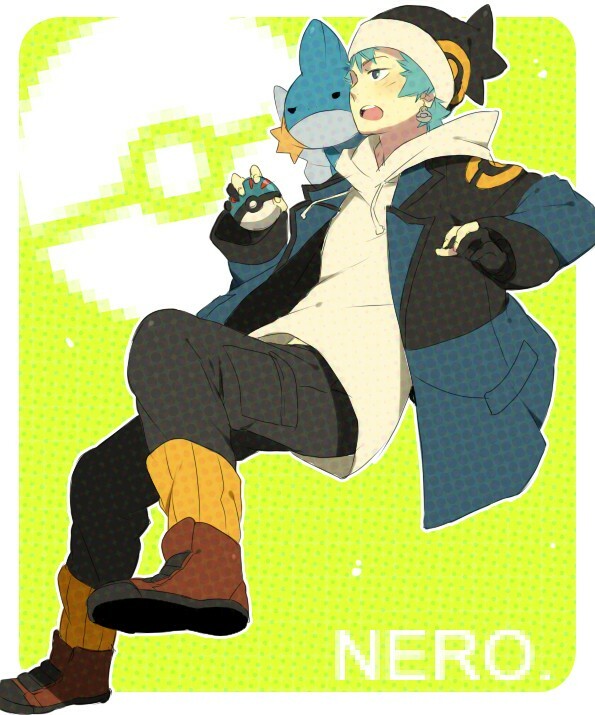 Living in Oceana City all his life and from his brothers love of water pokemon he developed an early love for water. 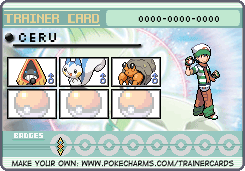 Kuroi taught him everything from swimming to things about water pokemon. 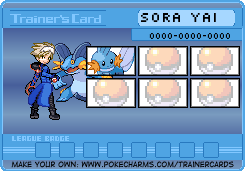 Sora decided to become a trainer when he learned of Kuroi getting ready to leave on his journey. Unfortunately none of the pokemon that were available Sora had a connection with ; Not even the Water starter. One day he was on the beach and heard alot of ruckus. He went to investigate, when he got there he saw a mudkip being bullied by some pokemon. Sora chased away the pokemon and tended to the mudkip. Sora looked at that mudkip and felt something special, so he decided to become friends with him. Eventually over time their bond became strong so Sora decided to pack up and go find his brother. Sora may only be 15 but he is gonna make his brother proud. Motto: "You gotta flow like the water"
*After your profile gets approved, please go to: Profile --> Trainer Sheet and activate your Trainer Sheet. Put in your character name and rank. Place the "Pokemon 1" slot to 0/100. That will be how you keep track of the EXP of your starting Pokemon. 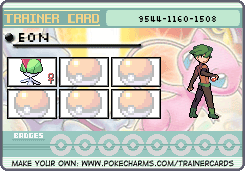 Every time you catch a new Pokemon, adjust the "Pokemon 2" area and so forth to fit it. This system does not apply to Pokemon in the PC. I have to say just one thing: The story seems a little short. You have to explain why and how he got to the Tohjo Region as well as tell us more about his past life and his childhood. He started from Kanto (Pallet Town), right? Explain how and why he decided to go to Tohjo. .. So I'm going to be the one moving this? Nyaaaan. Cause not many people know how to move threads, Nichi.